SERVICIOS MAQUINARIA Y TECNOLOGÍAS DE ENVASADO, S.L. 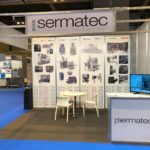 (SERMATEC) B61751541, domiciled in C/ Llobregat, 9, Nave D-33, 08223 Terrassa, Telephone +34-937359981 and email sermatec@sermatec.es informs you that you have your personal data specified in the corresponding register of treatment activities called General of Administration. The processing legal basis of your data is the execution of the commercial relationship between the owner of the data and the data controller. Such personal information will be kept as long as the commercial relationship is maintained or for the time strictly necessary to comply with legal obligations. The aim of the creation, existence and maintenance is the processing of the data with the exclusive purposes of being able to comply with our commercial relationship, and perform the invoicing. The recipients of the information are all the departments, compartments, premises and associated entities in which SERVICIOS MAQUINARIA Y TECNOLOGÍAS DE ENVASADO, S.L. (SERMATEC) is organized and will not be transferred to any third party except in cases where there is a legal obligation. Interested persons have the right to access their personal data, as well as to request the correction of inaccurate data or, where appropriate, request the deletion when, among other reasons, the data are no longer necessary for the purpose they were delivered as well as withdraw the consent granted. You can also exercise your right to limitation of treatment, so that your data will not be deleted but the treatment thereof will be subject to limitations. The excercises of portability and decision automation do not apply in this case because of the type of data and their treatment.